In many cases, it’s not what but whom you know that makes the difference between moving forward and standing still. In the case of MaryAnn Fick, however, what she knows is integral to ensuring that whom she knows can do their best work on behalf of Federal-Mogul Powertrain, a division of Federal-Mogul LLC. Federal-Mogul Powertrain is a global leader in power train technologies and components for the automotive; aerospace; light, medium, and heavy-duty commercial; marine; railway; power-generation; and industrial sectors. 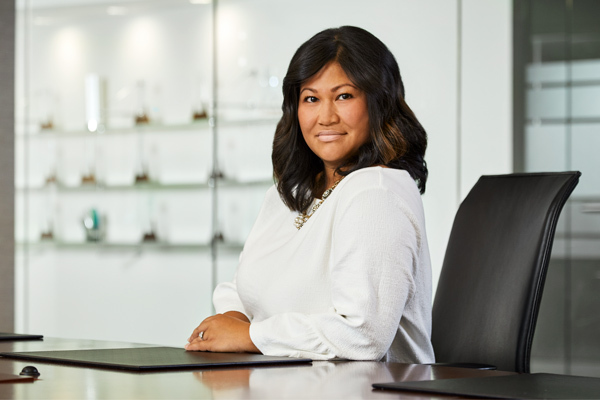 As the company’s global intellectual property counsel, Fick is leveraging her experience to maintain her and her team’s understanding of the company’s product offerings while also looking for new ways to streamline its processes in certain areas. Federal-Mogul Powertrain has eight key business units focused on engine bearings, ignition products, sealing, valve seats and guides, valve-train products, pistons, piston rings and liners, and systems protection products. Thanks to her engineering background, Fick has a firm grasp of the technical details of these products, which Federal-Mogul Powertrain offers to a lengthy roster of international customers. The company boasts a tradition of delivering superior-quality products and engineering excellence, so Fick uses her skill set to ensure that the company’s power train solutions meet both regulatory and market requirements around the world. In her role as global IP counsel, Fick’s legal expertise is equally valuable, particularly because she’s the only IP attorney serving Federal-Mogul Powertrain, whose parent company boasts more than thirty-seven thousand employees, one hundred manufacturing facilities, and fourteen technical research and development centers in twenty-one countries. Securing, maintaining, and enforcing the thousands of Federal-Mogul Powertrain patents, trademarks, and other intellectual property and handling other related legal aspects is a complex task that requires Fick’s full attention every day—the company filed more than 3,100 patent applications between 2012 and 2016, and it was granted more than 2,400 in that same period. Fick happily shares credit for the success of her IP management system with her surprisingly small in-house IP team, of which she is the sole attorney. With the help of a senior IP paralegal, a trademark specialist, and two patent specialists focused on IP matters in Europe, Fick keeps track of the myriad IP details that crop up every day around the globe. At the same time, she also heaps praise on the two major outside firms that do much of the day-to-day patent preparation and prosecution that help maintain the company’s robust IP portfolio. In the seven years she’s been with the company, she’s worked closely with in-house legal staff, other company employees, and the company’s outside counsel to ensure communications flow smoothly and that both sides are aware of the realities of the other. With an eye toward better meeting the needs of every Federal-Mogul Powertrain customer, Fick is now looking beyond her IP legal department to streamline other internal processes. Like every other manufacturer, large or small, Federal-Mogul employs in its day-to-day operations a number of technical and logistical computer programs, many of which began as stand-alone software. So, Fick, along with other Federal-Mogul colleagues, plan to plumb the digital depths of the company’s contract-management systems to learn what can be updated, what can be better connected, and what should be replaced. The future looks bright, too. Federal-Mogul Powertrain currently manufactures components for hundreds of customers around the world and is constantly adapting its processes to meet their needs. Advances in electric automobile technology will only offer the company more opportunities for growth. It’s an exciting time to be in research and development in the automotive industry, and Fick is ready for the challenge of driving the company’s valuable IP assets into the future.